We are so fortunate to work with the following businesses who are generously sponsoring our upcoming event, the Funky Finds Holiday Shopping Experience! 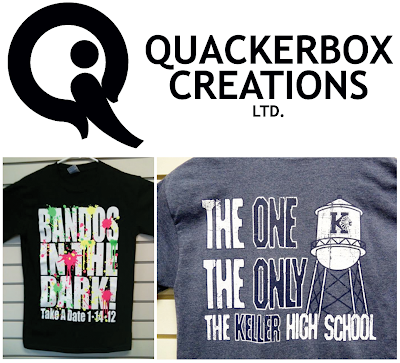 Quackerbox Creations Ltd. is a full-service, family-owned screen printer located in Dallas, TX. They have been printing wearables & accessories since 1982. Quackerbox generously sponsors each Funky Finds event, donating event tees to each vendor & sponsor, as well as donating the printing on the additional tees we sell to raise funds for the Humane Society of North Texas. Their team prints quality products at affordable prices. 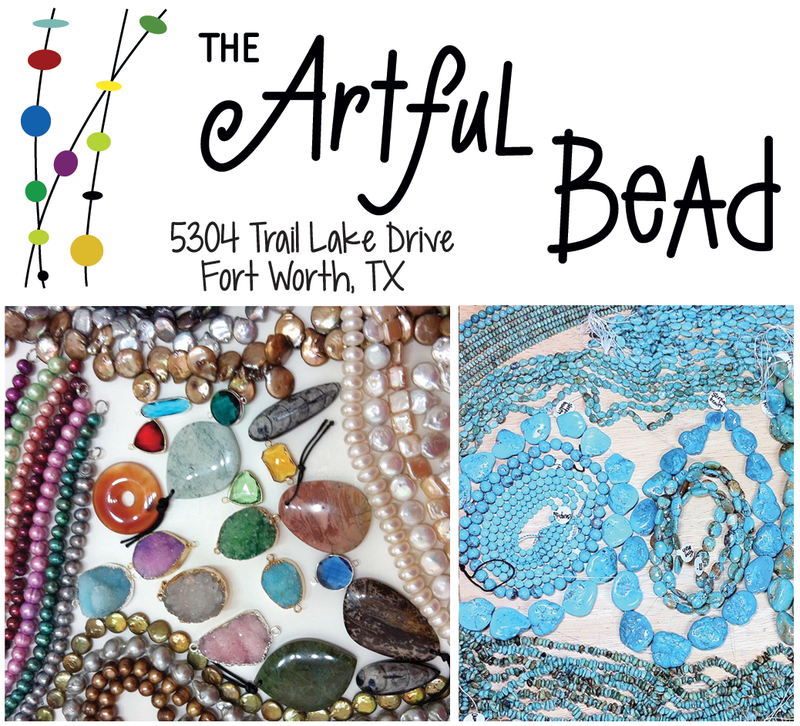 The Arful Bead is the most popular retail bead store in Fort Worth & the surrounding North Texas area. They are your one-stop shopping destination for jewelry making supplies including quality beads, wire, chain, findings, and tools. 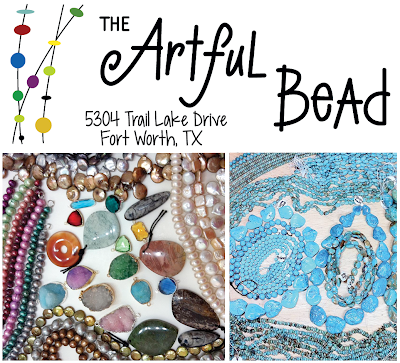 The Artful Bead also offers classes for every skill level, as well as custom jewelry design for weddings, proms, quinceaneras, and other special occasions. 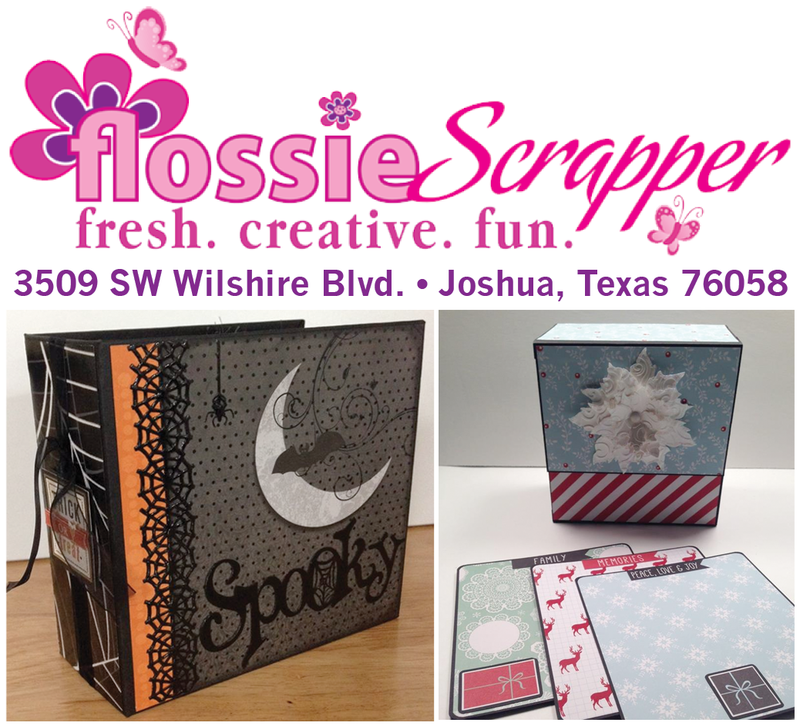 Flossie Scrapper is a premiere craft store located in Joshua, TX. They offer scrapbooking, crafts, and teaching supplies from all the top designers, including Heidi Swapp, American Crafts, Tim Holtz, and much more! Flossie Scrapper also offers regular classes featuring a wide variety of craft projects. Products are also available for purchase through the website. 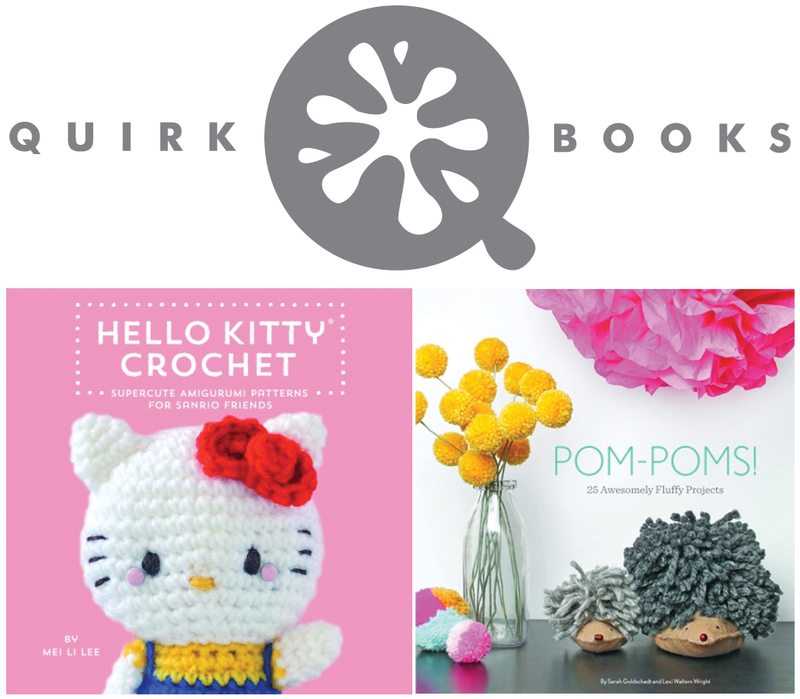 Quirk Books has been publishing strikingly unconventional books since 2002! They offer a wide variety of books ranging from award-winning cookbooks to craft books to non-fiction. Quirk has generously donated awesome books to be included in each of our swag bags. Visit their site for free sampler downloads & more! 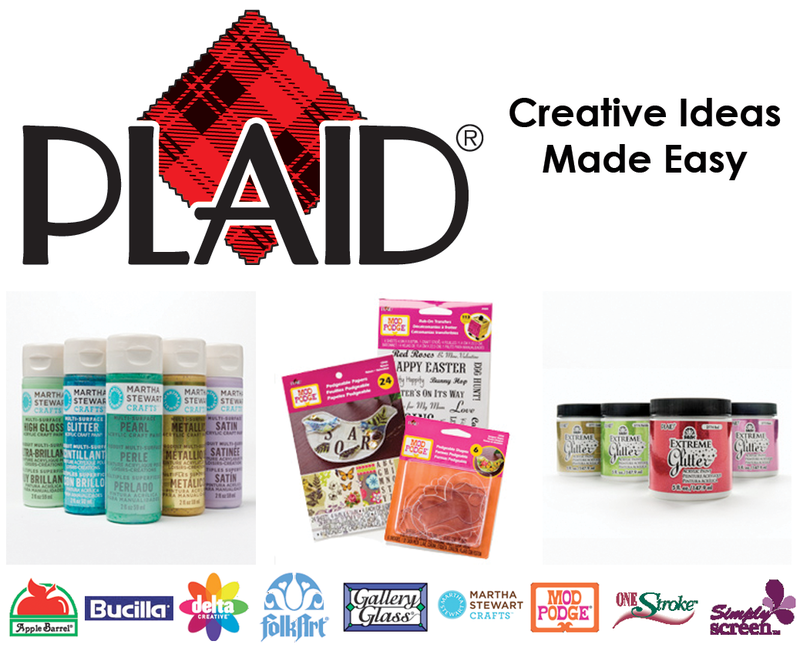 PLAID is home to all your favorite craft brands - FolkArt, Bucilla, Mod Podge, Martha Stewart, and more! This well-known company generously provides full-size products to be included in our event swag bags, as well as a huge raffle prize consisting on brand new products. Visit their website to explore your ideas & inspiration for painting, needlecrafts, decoupage & other favorite crafts. The Artful Village is a monthly handmade market held on the 2nd Saturday of each month. 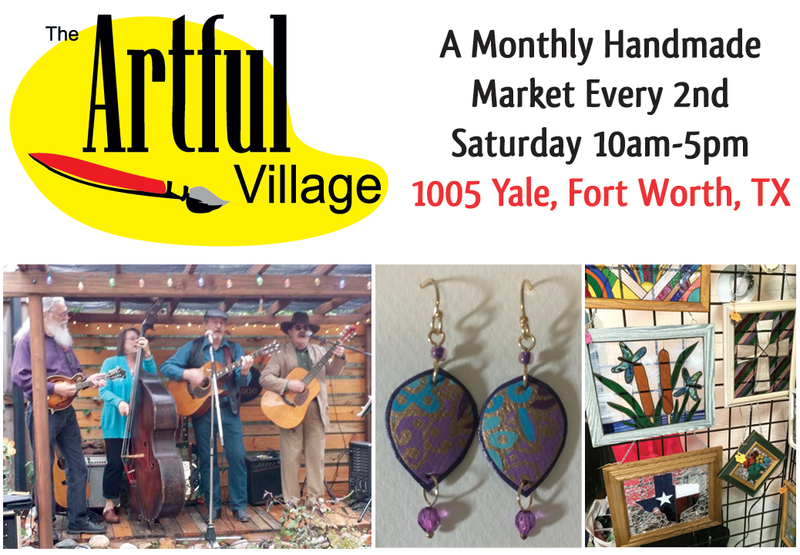 Located in the River Oaks area of Fort Worth, Texas, The Artful Village provides area residents with an opportunity to enjoy live music & the chance to visit with a number of artisans & purchase their unique goods. 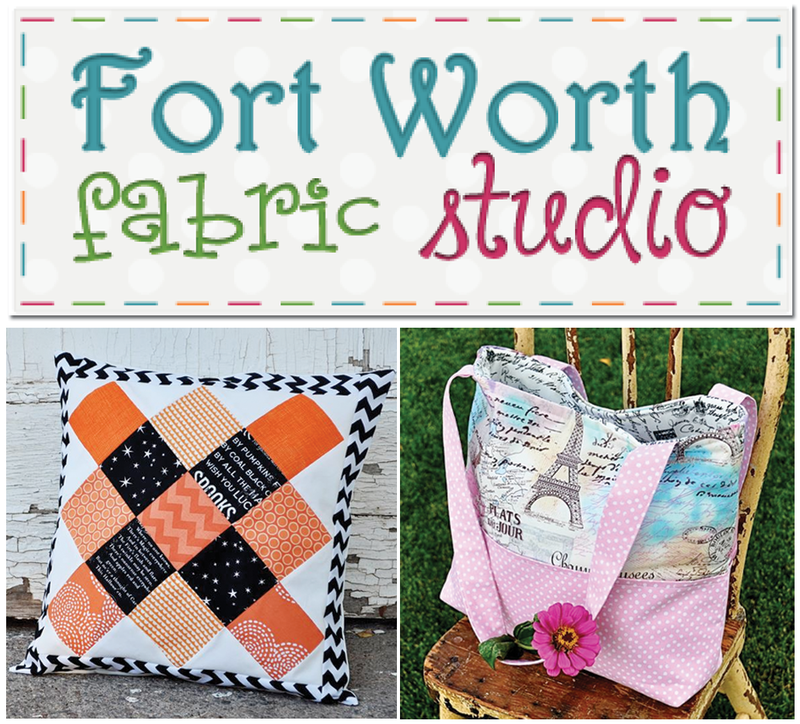 Fort Worth Fabric Studio is an online-only fabric store with lots of gorgeous fabrics from all the major manufacturers, such as Michael Miller, Robert Kaufman, Riley Blake, Moda, and many more! Their extensive site also offers sewing notions, books & patterns, craft kits, and the Friday Bundle Batch! Right On! 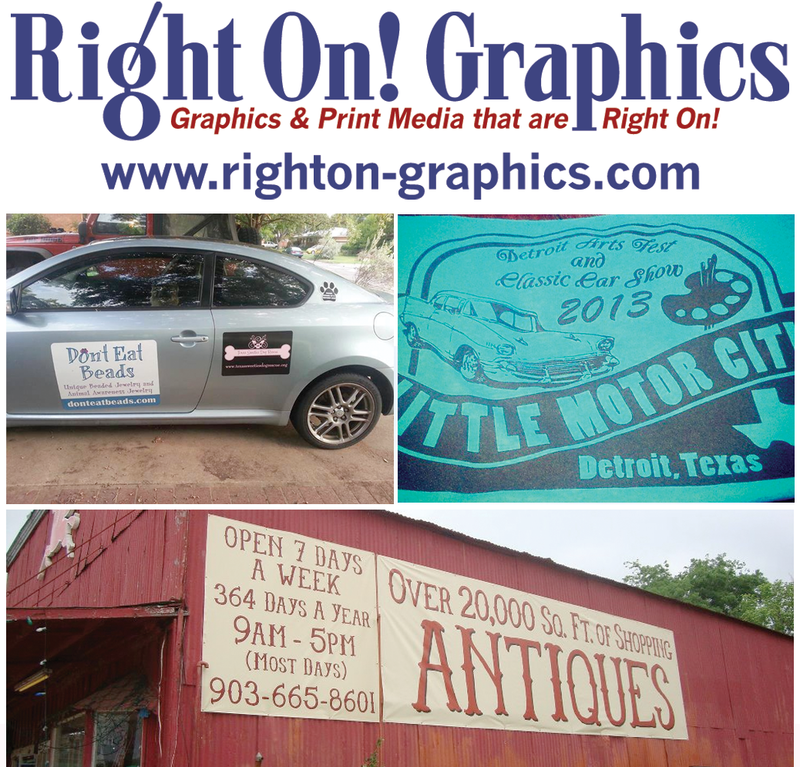 Graphics offers quality promotional products & custom graphic design at affordable prices. ROG never uses templates & stands by each of their products. They offer digitally-printed vinyl banners (no stick on lettering), business cards, postcards, yard signs, and much more!